Christmas and New Year in Australia. It’s hot, it’s summer. The kids are on their long holiday for the year. The days melt together as we mooch from the pool to the beach. We always try to have a long weekend in Sydney after Christmas and New Year to catch up with friends & family. This year we snapped up a great deal on accommodation at the Vibe Hotel Rushcutters Bay. 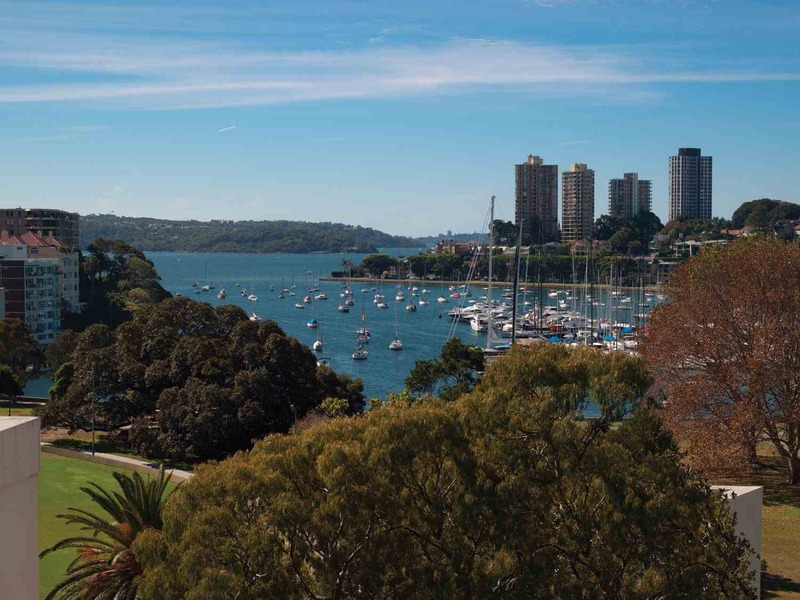 Just ten minutes east from the city, Rushcutters Bay is just down the hill from Kings Cross train station and the restaurants of Potts Point. If you have a car or don’t mind catching the bus or train this modern hotel is a great city alternative. It is also really well placed for the Sydney Cricket Ground and Sydney Stadium, so perfect as a base for attending test match cricket or football. The rooftop pool has a lovely vista across the adjacent waterside park and harbour. 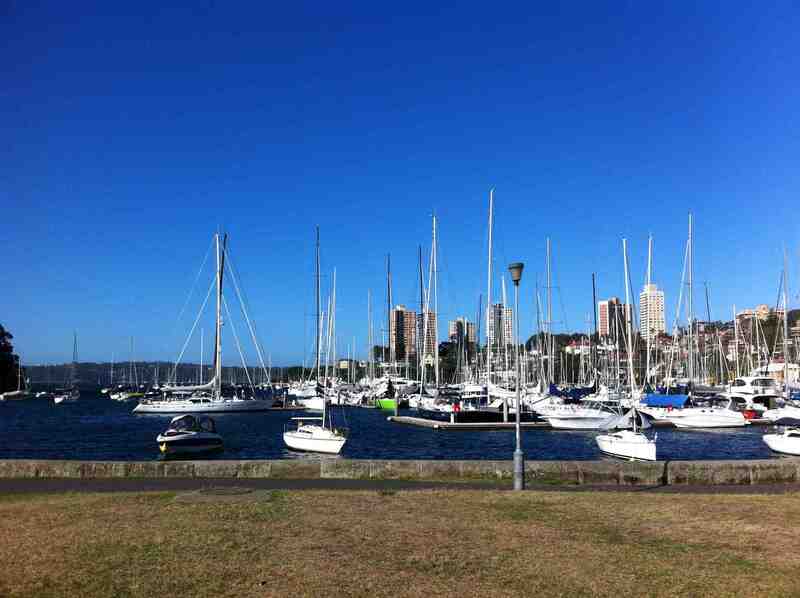 The park is great for a stroll along the harbour’s edge, past the racing yachts towards Darling Point where there are more great views of Sydney Harbour. If you are a dog lover Rushcutters Bay Park is a magnet for inner city pooches. Plus there is a cafe in the centre of the park in a perfect family friendly location next to a children’s playground. Next time we visit the MCA we will try the new rooftop MCA Cafe and sculpture terrace where there are great views across the harbour. As always, the best part of our visit to Sydney was catching up with friends and family. 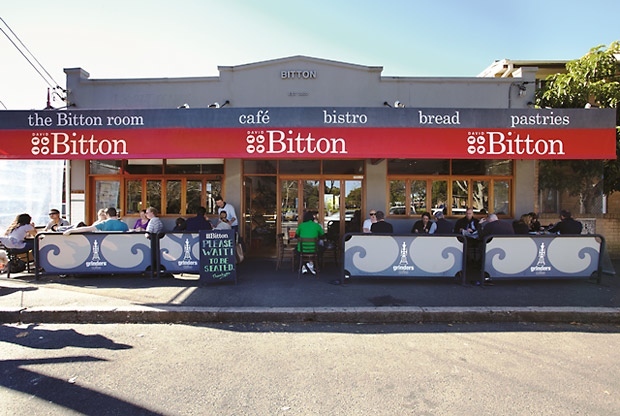 We had a gorgeous lunch at inner west cafe, Bitton Cafe in Alexandria. What a great venue! Delicious food and incredibly friendly staff who were really happy to accommodate our group of rowdy children and boisterous adults. Highly recommend. Vibe Hotels are part of the Toga Hotels Group which also includes Travelodge, Medina & Adina Apartment Hotels. Vibe also have hotels in Sydney city south & North Sydney. Sign up to their email newsletter to receive news of deals & special rates. MCA – Museum of Contemporary Art is located at 140 George Street, The Rocks. The Anish Kapoor exhibition continues until 1 April 2013. 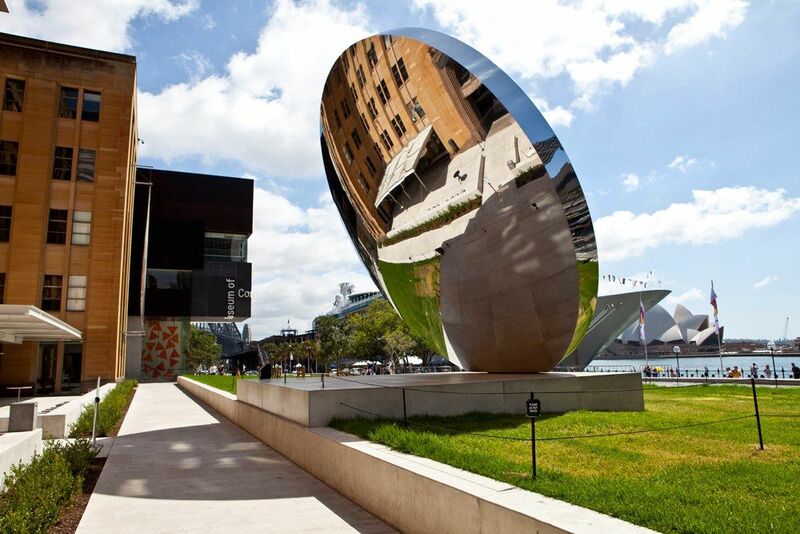 MCA Image: Anish Kapoor, Sky Mirror, 2006, MCA installation view 2012-13, courtesy and © the artist, photograph: Alex Davies. Thanks Su. Wishing you a great 2013 too. Yes it was wonderful to catch up in Sydney. Such a lovely lunch. And a real whirlwind visit for you & Stella. Thanks Jo! Glad you linked through to Bitton as it is a good website.